A pinhole camera that can record images on 5x4in positive paper will go on sale next month, the owner of the Ilford film brand has confirmed. The British-made Harman Titan, a prototype of which was shown at the Focus on Imaging show six months ago, will cost £150. There will be three versions of interchangeable pinhole cone (see above): 72mm; 110mm; and 150mm ? 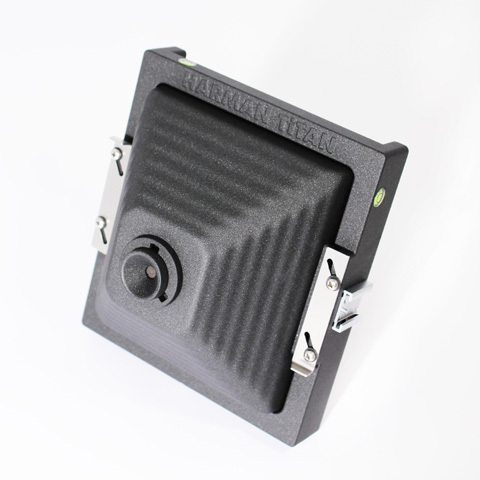 the latter delivering the same focal length as a traditional 5x4in camera, said Steven Brierley, director of sales and marketing at Harman technology Ltd which owns the famous Ilford black & white film brand. The 110mm and 150mm versions are planned as optional extras. The Harman Titan kit will include a ‘reciprocity failure chart’ to help photographers work out the correct exposure, said Brierley in an interview with Amateur Photographer (AP) last Friday. The pack comes supplied with 10 sheets of 5x4in Harman Direct Positive photographic paper and 10 sheets of 5x4in Ilford Delta 100 Professional film. The camera itself features built-in spirit levels and tripod mount positions. Designed to be robust, the Harman Titan is built from ?tough plastic? and designed by Mike Walker, a field camera specialist based in North Wales. AP has learnt that Ilford is investigating the possibility of making the camera compatible with an Apple iPhone, whereby the iPhone would sit on the camera and serve as a ?viewfinder?. And the firm is also considering the launch of an accessory that enables the shutter to be triggered by a cable release. 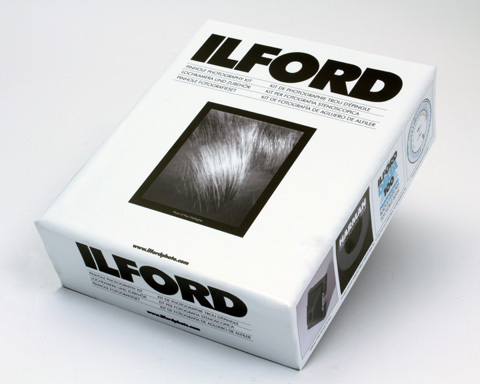 Ilford claims that the camera has received a ?huge amount of interest from schools and colleges, as well as existing pinhole photographers?. Brierley hopes the camera will appeal to school science lesson teachers, as the images can be process in a ?tank? – thereby dispensing with the need for a darkroom. The Harman Titan is due to go on sale at the end of October. Details of the launch are due to be officially released this lunchtime.